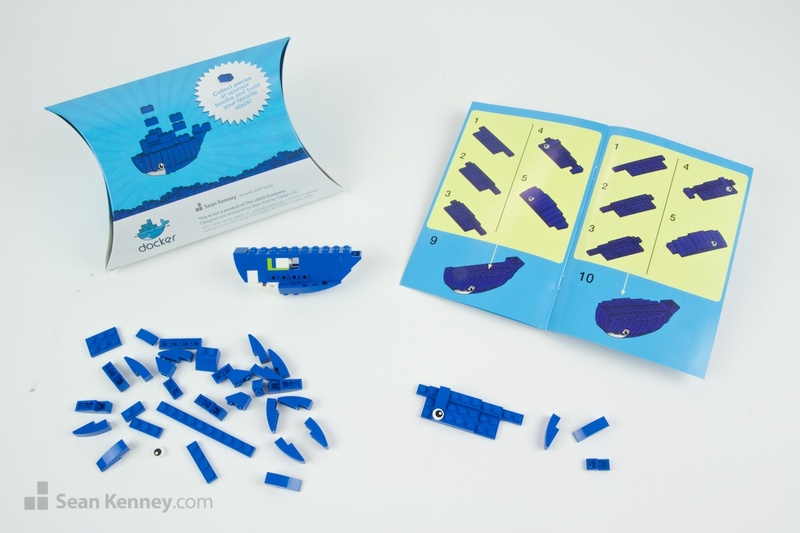 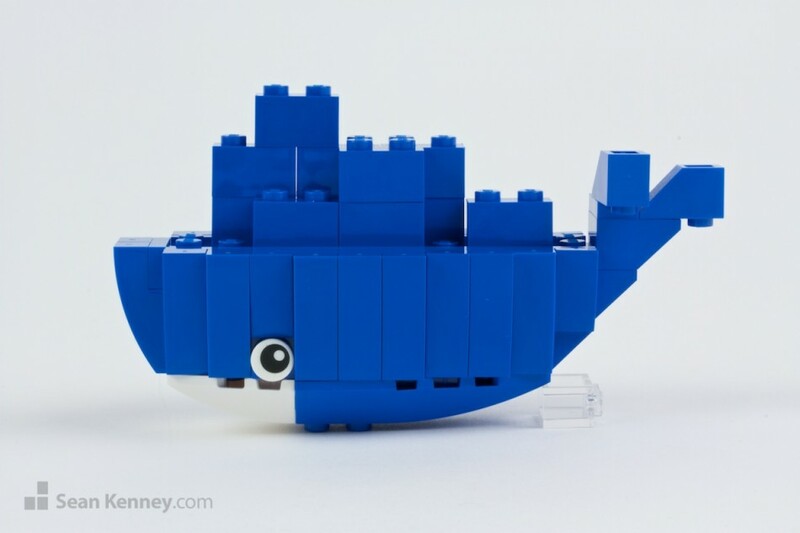 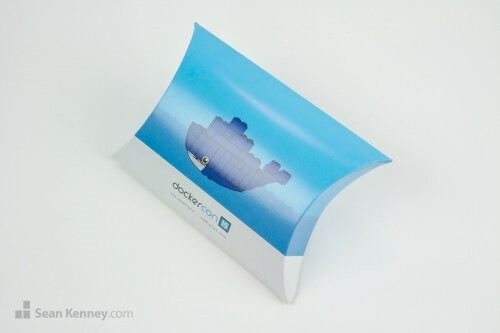 I designed and created this 62-piece build-it-yourself model of Docker’s cute logo “Moby Dock” for an event that Docker hosted alongside my giant sculpture of the Docker logo . I designed the model and created all of the building instructions and packaging. 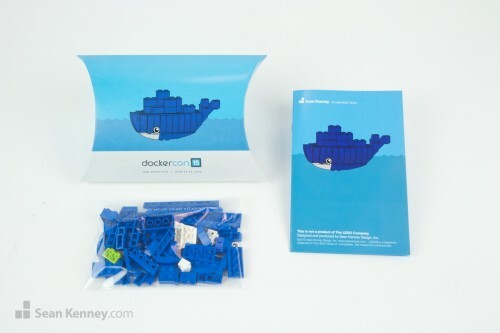 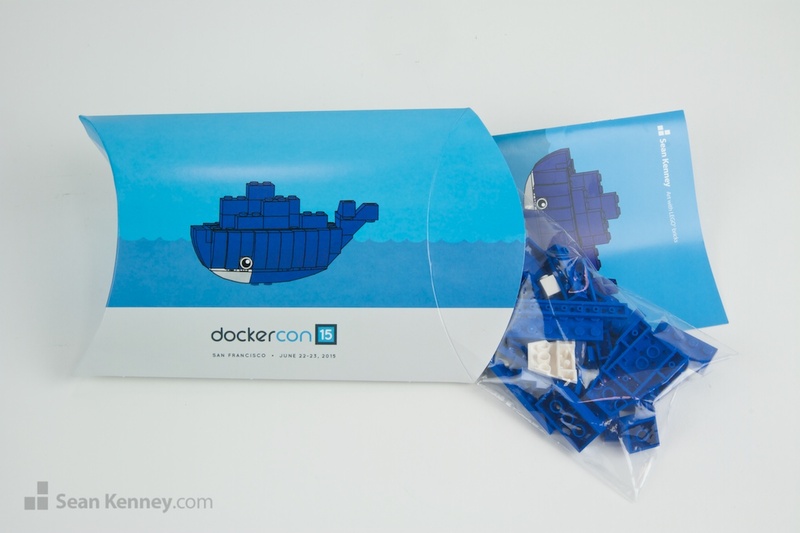 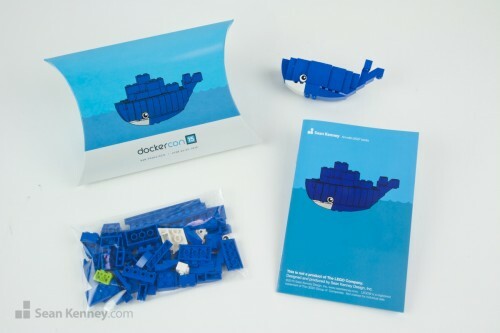 My team and I collated a few hundred of these which were handed out at Docker’s event in summer 2015.